Phew! 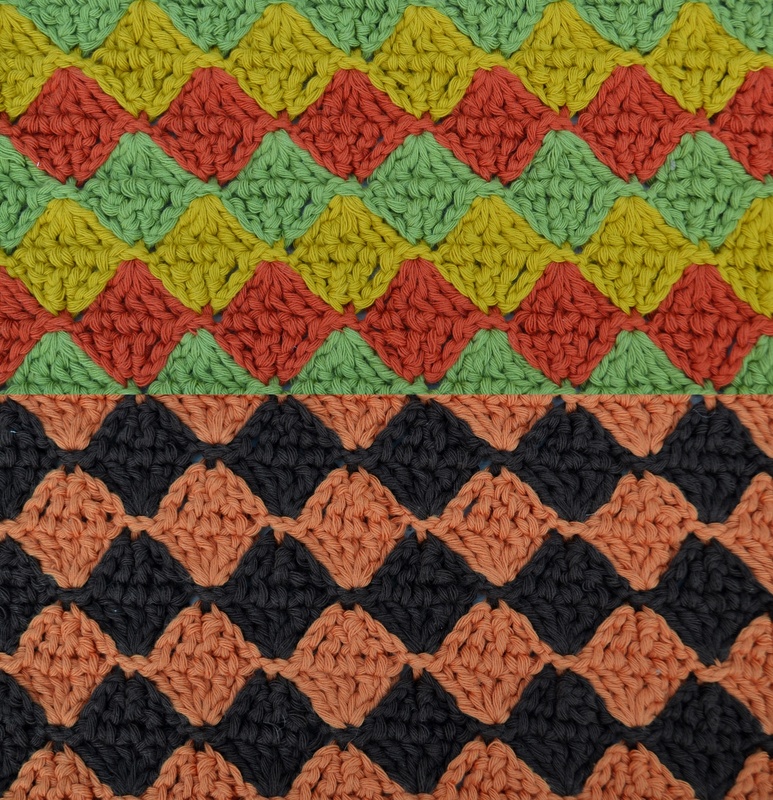 I’ve finally managed to finish and publish my Geometric Diamond Crochet Blanket Pattern (including Crochet Pillow Pattern)! All I was missing was the photo of the ready made crochet pillow for the front cover of the pattern page! I had these two pieces of crochet fabric, just needed to stitch them together but I got so occupied with my other business that I run together with my husband that I’ve run out of time and totally forgot about the unfinished and unpublished crochet pattern. Yesterday I’ve managed to take some nice pictures and after few more hours of editing my Diamond Crochet Blanket and Pillow Pattern is finally ready to get. choice of colors was inspired by 70s decoration style. This crochet pattern is very versatile and can be used in many ways. In the written description I’ve included instruction on how to make a crochet pillow cover or crochet blanket in any size you want in 10cm increments. Previous Post Tips on selling crochet items Next Post Free Crochet Flower Pattern a day challenge!